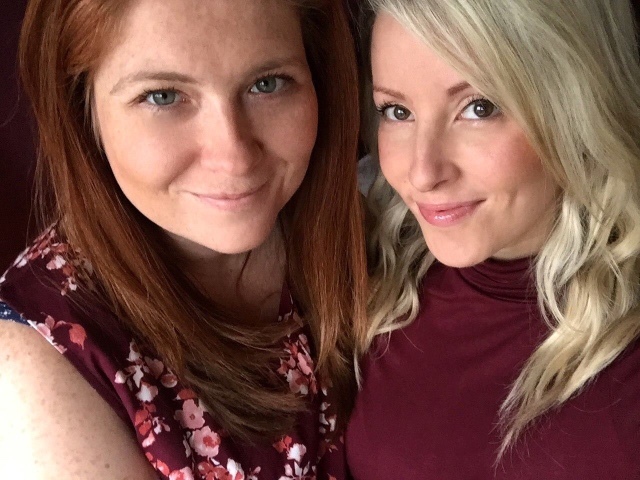 2 Wives 2 Mums: Week 14 - Merry Christmas! Week 14 - Merry Christmas! Symptoms: nothing new this week. My tummy is expanding and I can easily feel my uterus above my pubic bone now. My family have commented all Christmas at how much I "look" pregnant! Our baby: can make facial expressions such as a squint or frown. They are developing hair, eyebrows and fingerprints! 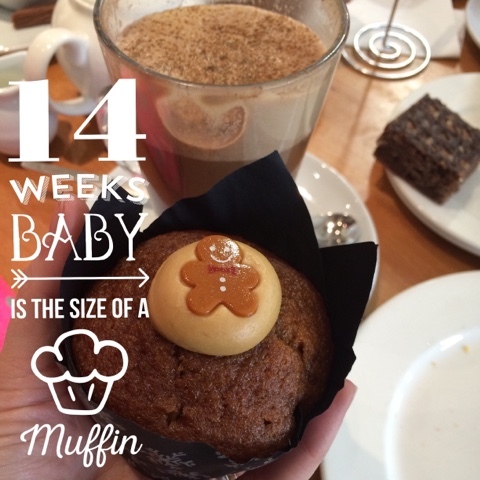 Our baby is the size of: a lemon or a muffin..unsure about these pregnancy size comparisons sometimes! 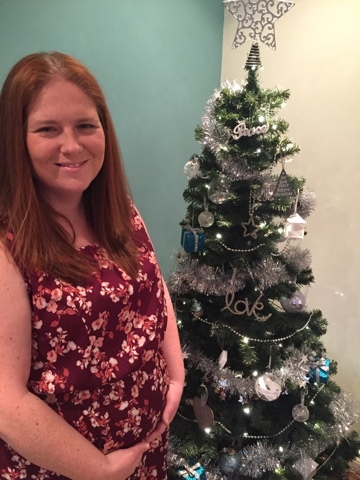 Being pregnant at Christmas was always a little dream of ours, and we would be lying if we said that we didn't plan our IVF around what dates we would ideally like Lauren to be pregnant and give birth. So that dream being a reality this Christmas was surreal and wonderful! 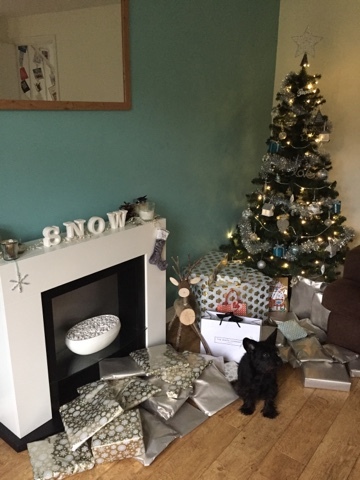 We love Christmas, and luckily this year our jobs worked out that we had three and a half days off together - not bad to say we work in retail and the NHS! The half day was Christmas Eve Eve (we love that that's a thing) and we spent it partaking in a long term tradition - Christmas Costa with lots of ladies from Laurens side of the family! We get lots of cake, lots of hot chocolate and have lots of chatting and laughter. 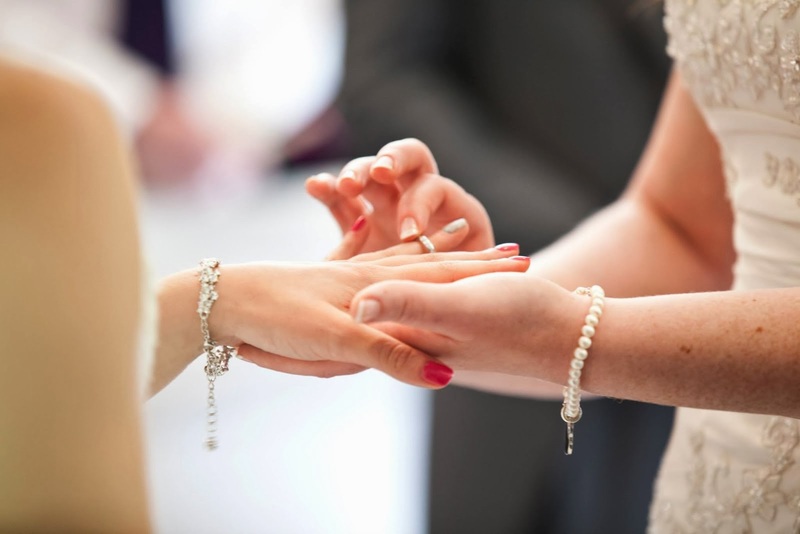 It's a chance to sit down and have a good old girly catch up before the madness of Christmas! I was working the early part of Christmas Eve so it gave Lauren chance to make sure we were ready for Father Christmas. The first part of the day involved a trip to nearby city of Worcester, to pick up a variety of handmade scotch eggs from the aptly titled "Handmade Scotch Egg Shop" (they don't sell anything else! ), to take to her parents for their Big Boxing Day Buffet. And then en route to her parents picked our niece for a couple of hours, as her sister was yet to wrap any presents! Lauren then collected me from work, and we drove home singing along to Christmas music! 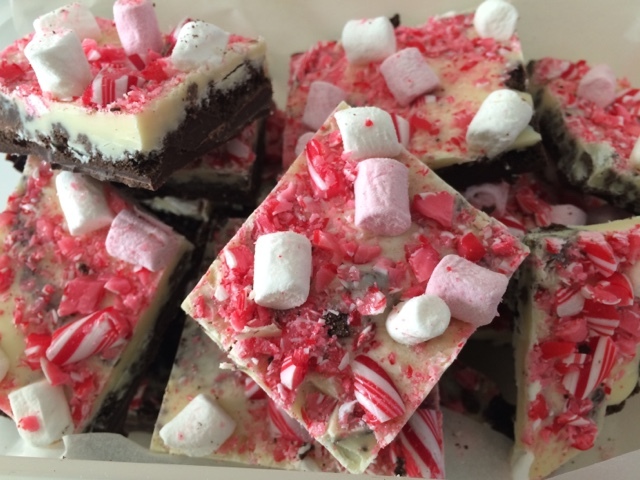 We always have a bit of an 'indoor picnic' for dinner on Christmas Eve, the most exciting part is always our homemade Oreo Peppermint Bark - the best ever if we do say so ourselves! 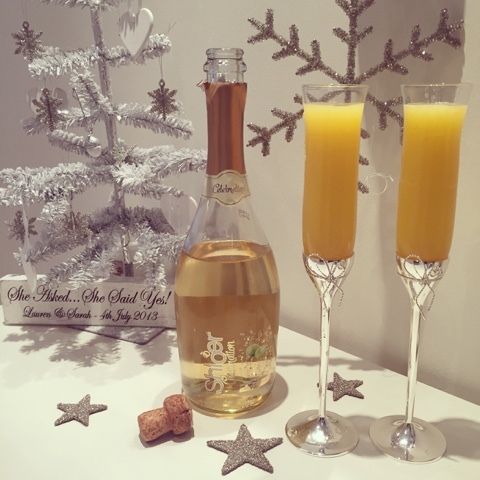 Not being much of a drinker, the non alcoholic part of a Christmas pregnancy didn't bother Lauren much, but I still made sure to find baby friendly alternatives where I could. 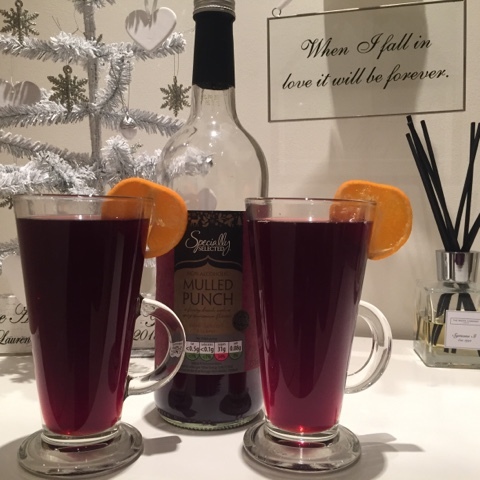 Including non alcoholic mulled wine, which was a lovely way to finish off Christmas Eve, cuddled up on the sofa watching Christmas films! We purposefully didn't wake up early on Christmas Day, wanting to savour every moment of our very last Christmas as just the two of us, including having a lie in (to prepare ourselves for the years to come of VERY early starts!). After lots of long lovely cuddles and gingerbread coffees in bed, we took the chance to say hello to our lovely little one and listened in to their heartbeat with the doppler. 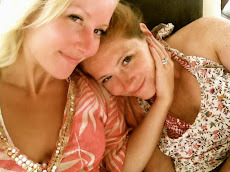 It is always such a magical experience, and makes us feel very close to each other as we connect with our baby. It always suprises us both just HOW wriggly they are in there, we can always hear so many kicks and wriggles and their little heartbeat shooting up in response. But no actual movements felt yet! Mid morning we eventually made our way downstairs, to find that Father Christmas had indeed found his way to us! But in our usual way we sat down for breakfast together first, complete with non-alcoholic bucks fizz. And then it was time for opening presents! 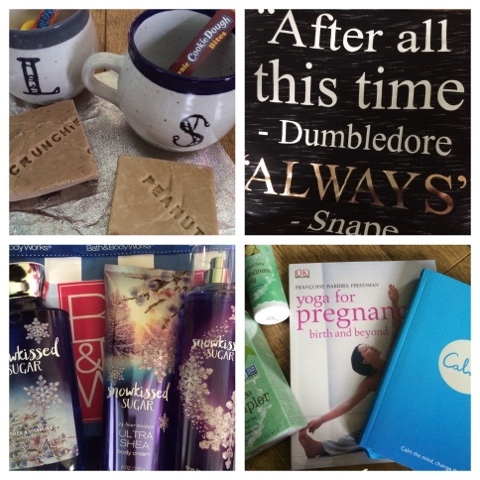 Unusually this year we didn't know what each other had bought until we opened our gifts. We had both got each other lots of clothes (Joules for Lauren, All Saints for me - plus an amazing Harry Potter tshirt with my favourite quote!) star themed jewellery, and pyjamas. Lauren also surprised me by getting lots of lovely Bath & Body Works products sent from America, and Laurens sister got us some gorgeous mugs filled with American sweets! 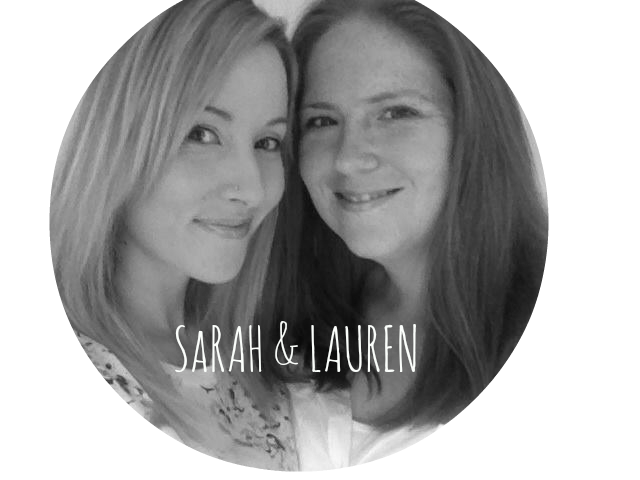 As Lauren is booked onto pregnancy yoga classes, I got her a book on pregnancy yoga, plus a beautiful book called 'Calm' and some tea and aromatherapy aimed at lovely mummies to be. 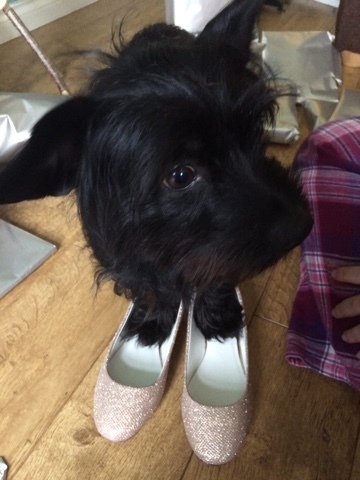 Oh and Willow liked these new shoes of mine! 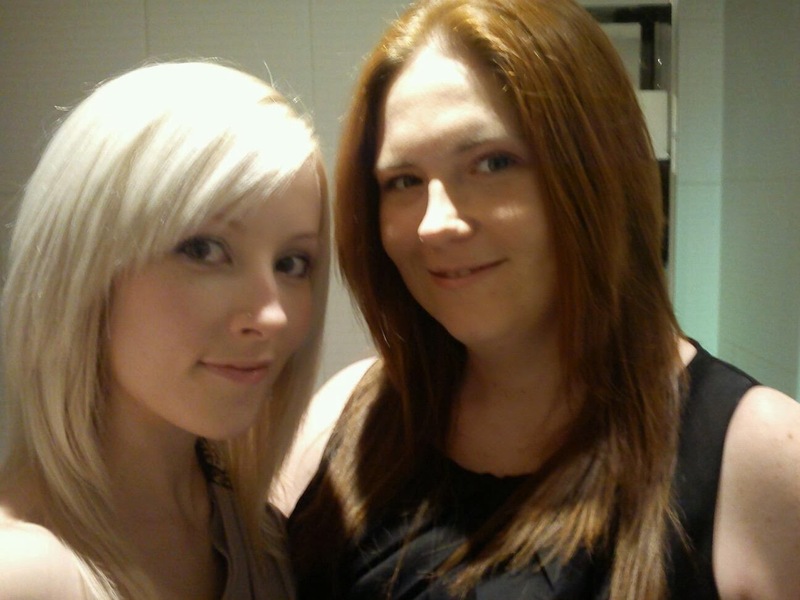 And then it was time to get ourselves ready to go and see my family (with plans to see Lauren's on Boxing Day). 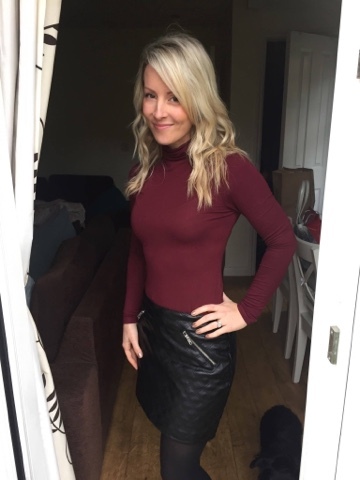 We still don't exactly feel like we've found our way with Christmas, as every year is something different, but that's probably because of the work we do and the fact one or both of us are often at work for most of the festive period. But this year followed last year; Christmas morning at home together, the rest of the day with my family at my parent's house, Boxing Day with Lauren's family at her parent's house. 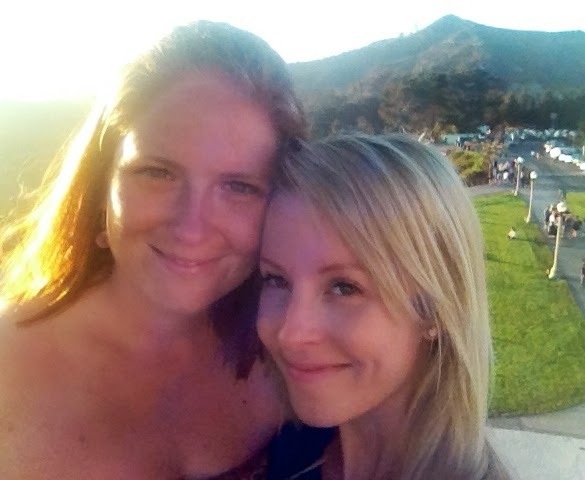 We both think it may change when we have children as we seem to spend a lot of time house-hopping, but for now, it works. We spent the rest of Christmas Day enjoying the company of my family, opening more presents (including some for baby from my Mom and Aunty! ), watching TV and eating buffet food. It was lovely and relaxing and all that Christmas is about - food and family! Boxing Day was more of the same with a different family! We got up late, had a similar breakfast, got ourselves ready and then headed off to the big Boxing Day bash, where we saw Lauren's parents, siblings, cousins, Aunty and children. It was chilled out and full of laughter and good food, perfect! Returning home on Sunday we were exhausted from a very very late night and not much sleep! Even Willow was exhausted, and spent the rest of the day fast asleep on either Mummy's lap. So we did what most people do the day after Boxing Day, had a quiet day at home with Christmas films, christmas chocolate, and new PJs! But having not had christmas dinner on the day itself due to us visiting family, we used the opportunity to have a huge christmas dinner. 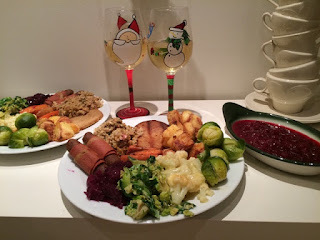 Vegan turkey and pigs in blankets, the BEST roast potatoes, stuffing and about a billion different types of veggies, finished off with Heston Blumenthal's christmas pudding. Amazing! Sadly the following day meant going back to work for us both. The time between Christmas and New Year is always a bit odd, life attempts to return to normal, but not really, as it still feels a bit like Christmas mixed in with some excitement of a New Year approaching! We have talked about perhaps going away for a couple of days in future years, if our work schedules allow it. But this year we have planned a peaceful New Years Eve and Day celebration, and will spend the time reflecting on the crazy year we have just had and the very very exciting year that is coming our way. I love that turtleneck jumper.